Directed by Tero Vuorinen. Out September 15th 2017 thru My Favorite Robot Records. Taken from the album “Don’t Believe In Happiness”, out November 24th 2017. Jori Hulkkonen is building towards his next full length album on My Favorite Robot, but before then comes a lead single with some fresh remixes from Zombies in Miami and Kiki. Hulkkonen is a regular on this label and his last album came on it in 2015, with one before that coming in 2012. A prolific producer with a real mastery of his synths, he creates atmospheric soundtracks couched in techno but with a wide world of influences contained within. The fantastic first track is ‘Don’t Believe in Happiness’, which is also the name of the album. It is a dark but beautiful track of synth laced ambience with only occasional kick drums somewhere deep down below. Gorgeous pads and melodies ring out in a church like fashion and elevate your soul in the process. Add in some whispered vocals and the whole thing has a tender ‘80s feel to it which leaves a lasting impression. Mexican pair Zombies in Miami aka Canibal and Jenouise of labels like Correspondant and Suara then step up with a fine remix. Their smooth and seductive vision is more beat driven but remains deep and spiritual with a slithering lead synth line and supple drums all working you into a zoned out trance. Last of all comes Kiki, the long time BPitch Control artist from Helsinki. His take on the track reworks it as something more song like, with great structure and plenty of tension in the way it builds through eerie vocals and sections of synth drama and eventually upright drums. It’s a blissful cut with an infectious beat and offers something refreshingly different. This is another in a long line of standout and synth heavy tracks from Jori Hulkkonen that make the prospect of his next album all the more appealing. Jared Simms and Voytek Korab have built up an assured discography on this label as well as Hypercolour, Visionquest and No.19 Music, all at the same time as gigging around the world and A&Ring likeminded synth craftsmen to release on their revered eponymous imprint. Their own sound is mature and musical, and brings real emotion to their sleek dancefloor grooves. First up here is the fantastic ‘Want Some,’ a tune as confrontational as the name suggests, with a prying bass synth zipping about under crisp hits and hats. Rooted by rich kick drums, trademark melodic pads and skittish, steppy keys shoot about up top to bring a sleek cosmic feel. The result is brilliantly dramatic and futuristic. Then comes ‘Think Anymore’, an ever-more direct track but again one with a rasping bassline and whole ecosystem of melodies, keys and pads that bring real light to the track. It’s high tempo, tight and sure to kick start any floor that hears it. A re-edit of the same track closes out the EP, and does so with a more playful feel thanks to the layers of dancing piano chords and broad synth drones that get carefully added in. Like the soundtrack to a police chase, it’s fun yet urgent and widescreen. This is another briliantly well crafted offering from one of dance music’s most skilled studio outfits. 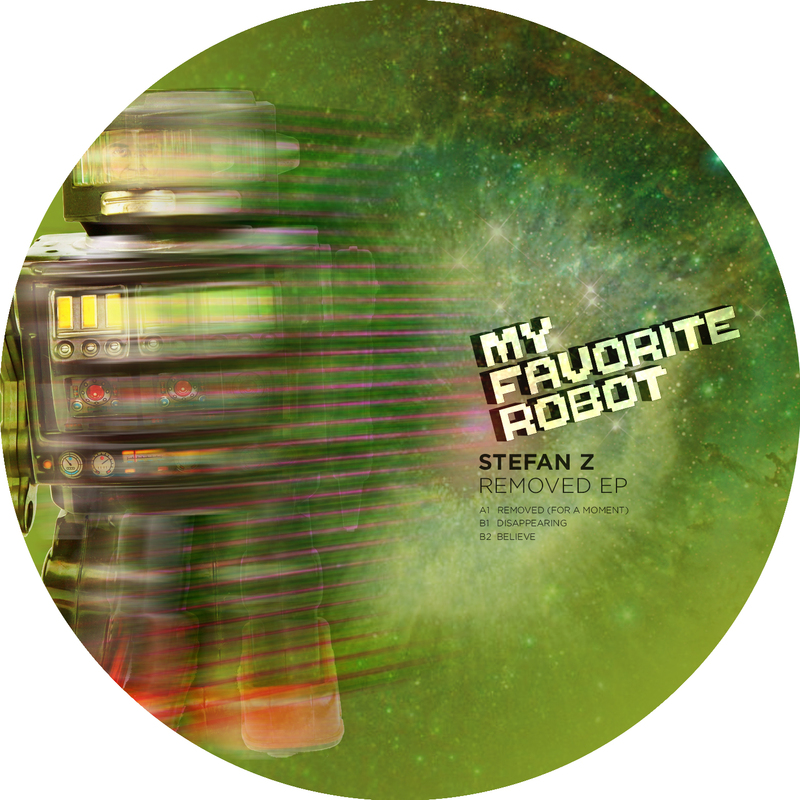 Canadian label My Favorite Robot Records turns to a local talent in the form of Vancouver’s Stefan Z for their next EP which sees him serve up three stunning cuts that are sure to become essential club tracks in the coming months. Before now, Rhombus label head Stefan Z has put his life long obsession with music to good use with standout releases on labels such as Resopal Shallware as well as MFRR, where he dropped his chart topping and heavily supported “No Words” to great acclaim in 2013. Also a classically trained musician and Vangelis enthusiast, he has a mature and musical sound that perfectly fits on this most accomplished label. Up first is the brilliant ‘Removed (For A Moment)’ which has a groaning bassline and spritely chords all backed by a bustling and bristling atmosphere. It’s sparse but moody, balanced yet driven, and is a seductively subtle groove as a result. Next is ‘Disappearing,’ an evocative track that comes deep from outer space. It has crackling static, electronic stabs and filtered vocals all making for a slightly urgent and dystopian house vibe that really captures the imagination and transports you to another world in terrific fashion. Lastly, the expertly shadowy ‘Believe’ is a more thumping, firmly rooted number with slow techno kicks, big, fat, reverb rich synths and a heavyweight sense of groove all run through with glowing metallic pads and an eerie sense of late night menace. This is another carefully crafted EP that manages to resonate both physically and mentally and is a fine bit of work from both label and artist as a result. After a strong run of EPs in recent times, the bosses of the much loved Canadian label My Favorite Robot return again to their own imprint with a strong follow-up release to their Glass To The End EP released earlier this year. The accomplished trio of Jared Simms, James Teej and Voytek Korab has become synonymous with emotive, synth heavy tracks that are much more than functional club offerings. As well as releasing on their own label, they have dropped releases on the likes of Sasha’s Last Night on Earth, No.19 Music, Visionquest, and Life & Death. Stunning opener ‘Cast’ is an epic techno influenced house track, lush with shimmering synths and live drums creating tension, much in the spirit of 90’s electronica. Breaking through like sun through cloud, though, are brightly glowing chords that really add a celestial air to proceedings, with powerful vocals sprinkled throughout deepening the story. It’s a refreshingly original track that sounds like little else and is sure to make for some standout moments on the floor in the coming weeks. Then comes ‘Manifesto,’ a playful mid tempo prowler with myriad synths squealing, glowing and spread through the arrangement. You are trapped right at the heart of it all as these spritely lines bring a real sense of life and colour to the track, as well as imbuing it with a sombre sense of futurism. At the center of the recording is a tongue in cheek vocal that intones “selling out is the new underground”, bringing a true light heartedness to proceedings while balancing the darker elements. 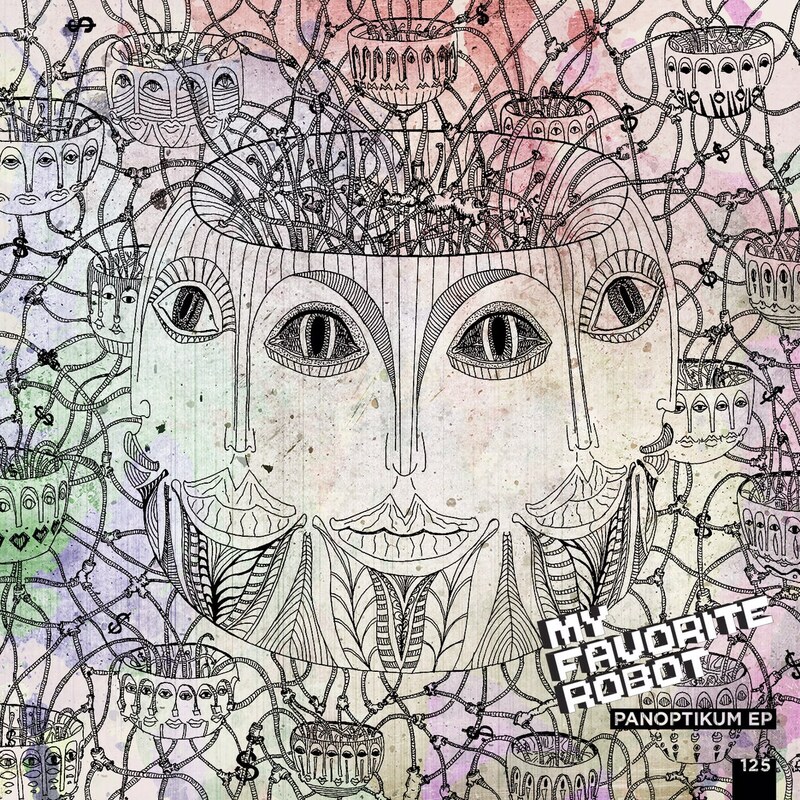 The track’s apex delivers in true My Favorite Robot spirit, and solidly brings the whole trip back down to earth resulting in a truly unique experience. This is a small but perfectly formed two track EP that once again showcases the trio’s ability to make genuine, emotionally resonant electronic music sure to stand the test of time. Before now the pair has released in both LP and single format on Doxa Records, BPitch Control and Treat Your DJ Right, and their arty, synth heavy sound makes perfect sense on the MFRR label. Title track ‘Sawtooth Blues’ opens things up in gloopy style, with bendy, downbeat bass synths off set by more colourful pads up top. It’s an undulating, warm and comforting tune with a left of centre sense of melody that really resonates. ‘Sally’ is a more peak time affair with strident bass notes, buried vocal yelps and thick, purposeful synths next to more pixelated and retro chords. Kinetic and prickly, it’s a fresh and floor filling track that really stands out thanks to the fulsome and rich production. Lastly, ‘Trimorph’ marries glassy outer space synth lines with arpeggiated melodies, wooden percussion and squelchy bass. It’s curious and involving, cerebral and physical and the groove ticks on like a metronome. 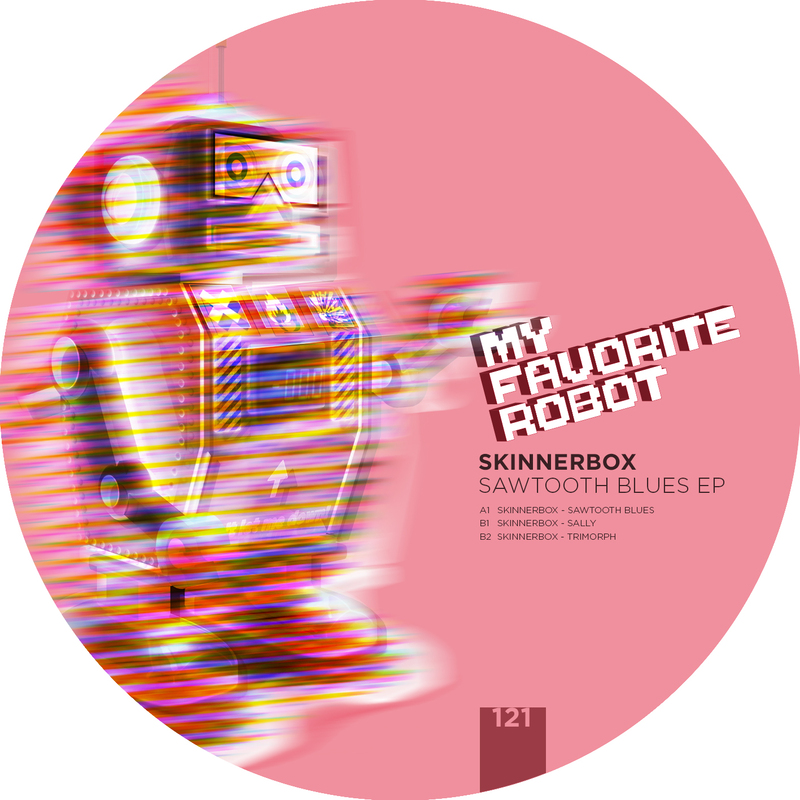 Musical and emotive yet beat driven and florrfilling, this EP is another fine addition to the My Favorite Robot Records cannon. Out on April 27th 2015. The Canadian outfit behind the My Favorite Robot label turn to their own creative talents for the next EP, namely a tidy two tracker entitled ‘Glass to the End’. 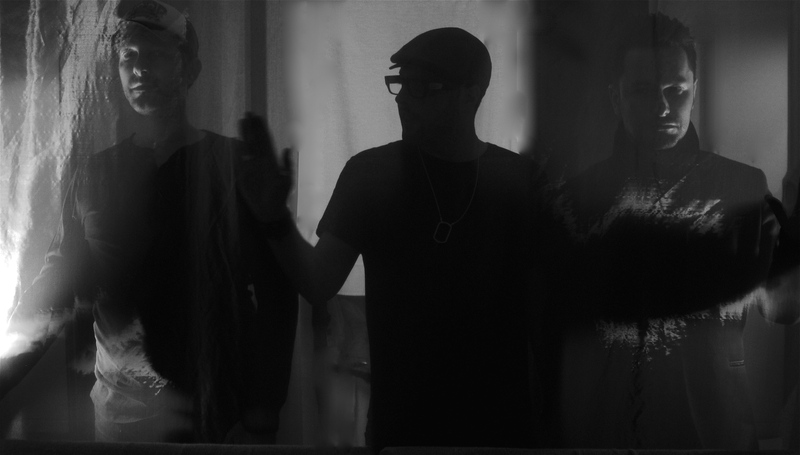 Made up of Jared Simms, James Teej and Voytek Korab, My Favorite Robot have established themselves as artful electronic craftsmen with a penchant for deep and moody synth tracks that feature stirring vocals and engaging grooves. This EP will actually be their first for a long while following efforts on Crosstown Rebels, No.19 Music and Life and Death. Opener ‘Magneto’ is a darkly melodic gem from the Robot trio, with Voytek’s pained vocals low in the mix and reflective but sad synths stretching out all around. The beats grow increasingly prominent and eventually sound like the sort of epic fair that Sasha would drop in one of his emotive club sets. The title track is then a quicker and slicker track with bursts of horn, blurts of synth and arpeggiated melodies all making for an urgent and dystopian vibe. Futuristic and evocative, this is another well crafted and properly structured song that really sets on fire when Voytek’s vocal cries leap out of the mix at the mid point. Dramatic and theatrical in truly unique ways, My Favorite Robot really do have their own unique sound, as this EP shows once more. Glass To The End EP is oming to MFRR on March 23rd 2015.